Discussion in 'Head-Fi Network & Industry News' started by FiiO, Feb 27, 2019. Memory is cheap. Personally I use the internal memory on the X7ii all the time. The 64Gb is ok on the X7ii - but not enough. And choice between internal and external, I’ll take the internal all day everyday (faster access etc). With more people streaming and saving to off-line storage, I’d have thought it an obvious selling point. Personally I’d pay $50-100 more to have that option. I mean, think of same player with 256Gb internal at $100 more RRP. I’d be all over that. Is internal storage, per GB, more or less expensive than card based storage? While internal storage has quicker access and bandwidth than external storage, is the performance difference noticeable in a DAP use model? I just don't get why people get in these heated arguments. It's well known sound preference is subjective so why do people continue to try and push their sound preference on to others is beyond me. Best thing to do is find a reviewer who likes a similar sound as you do and go with their recommendation. Or buy IEM's and be the judge for yourself and sell off what you don't like. Where is the +1000 button when you really need it? Not sure about the cost from a manufacturer POV - better for FiiO to answer. But I’ll explain my usage - which might help with understanding my reasoning. I’m very much an objectivist. A long time ago I measured my hearing ability (double blind abx tests) and discovered that for me aac256 was completely transparent. A group of us did the tests - including a young guy who could abx mp3 320 on a few killer tracks (Stax system + higher volume) but even aac256 defeated him. To this day using the same master volume matched I’ve found no-one who can differentiate aac256 from lossless when tested properly. So I archive FLAC but listen to aac256. Why? Because I can fit my approx 7K purchased track library on a single 64Gb card. So for me 128Gb onboard would give me wriggle room. Some people talk about 20K libraries - so 256Gb on board would cover them too. For my portable use it solves a lot of problems. It helps not being hung up on the container (FLAC, DSD etc). Allows me to concentrate on what is important - the actual version/mastering. dsrk, shotgunshane and darmanastartes like this. Unfortunately I recently sold off my AK380. 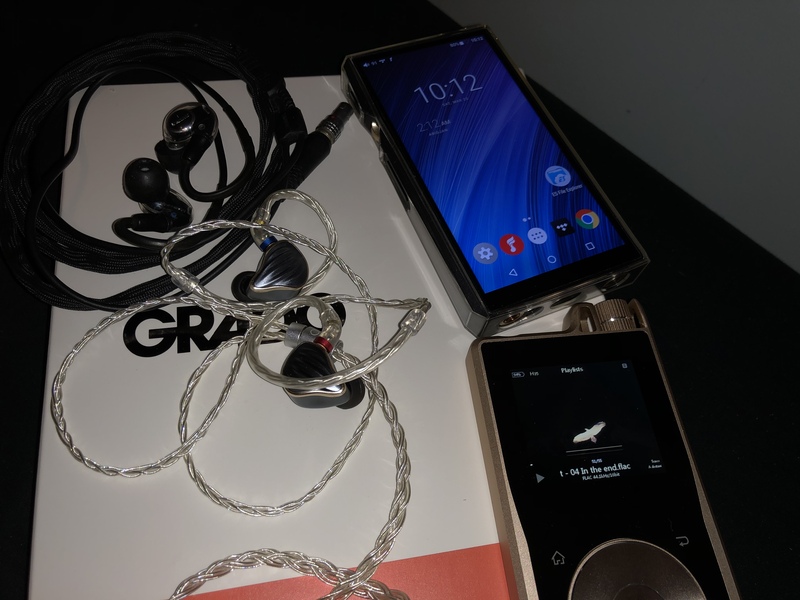 Let my good friend A/B it earlier with a Sony ZX2, the FiiO is more referenced tuned with greater clarity and resolution, and linearity. Bigger staging and imaging . OK, understand your point. I have never experienced a card failure, but I know they happen. I have always stored my offline music on an SD card and never felt any performance issues. I download music from Tidal and Qobuz on my LG v30 and never felt it was unacceptably slow to do so. But my experience is my own, and I understand where you are coming from better and respect that! Well, as to 4.4 vs 2.5... the perspective is going to be based on where you are coming from. If you have 4.4 cables, well, yeah, the 2.5 capability will go unused and seems like a waste of space and added cost. On the other hand, I bet most people do not have 4.4 but rather 2.5 cables, and the inclusion of 2.5 is to them a great design decision. 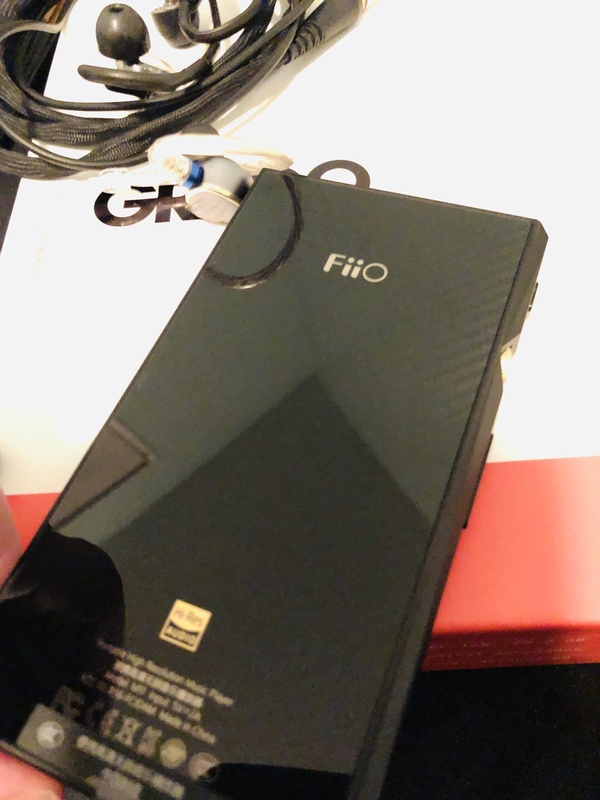 I think FiiO smart to remove any adoption hurdle in this way. But then, from my last statement you can probably tell how all of my cables are terminated, and thus my perspective! Yeah, and say you bought the M11 today. You really love it and see yourself living with it for quite a while. Now tell me you won't switch all your 2.5 to 4.4 for the extra sturdiness, and prevent the 2.5 socket from breaking? That really depends. I have quite a few IEMs and a lot (7) 2.5mm cables. I could see myself over time, as I bought new ones, replacing my 2.5mm cables with 4.4mm cables. But run out and replace them all now? Nah, not going to happen. You see, this is not a theoretical topic for me. I am expecting any day to receive my R6 Pro. The only balanced option for me is 4.4mm. I will have to live with adapters for a while. If I had known about the M11 at the time I ordered the R6 Pro, the broader support for connectors may have been a swing consideration. Point is that as individual consumers we all see things through our own lens. You see it your way, I see it mine, different because we have a different perspective and starting point. Neither of us is right or wrong. It is the vendor's job to find a way to make their product appealing to their target buyers. Hiby decided that their target buyers either have 4.4 connectors, or are willing to live with adapters. FiiO probably decided to differentiate themselves by making it easy by eliminating the need to make a decision. misteral201103 and Edric Li like this.